Autumn at Big Picture Farm. Photo credit/Big Picture Farm. Vermont may be known for its farms and penchant for local food, but it’s also the land of creative invention and artistry. Only a few hours by car or train (and less if you fly) from New York City, Vermont is a wonderful weekend getaway. With the holidays coming, look no further than the best from the Green Mountain State. From maple syrup and beer to ice wine and cheese to chocolate and hard cider, Vermont has the very best in holiday gifts for your friends and family. We’ve gathered some great suggestions for your list this holiday season. Visit vermont.gov for even more ideas and to plan your trip today. From a small farm stand in an old sugar shack in Peru, Vermont, to a cafe that now includes a general store. 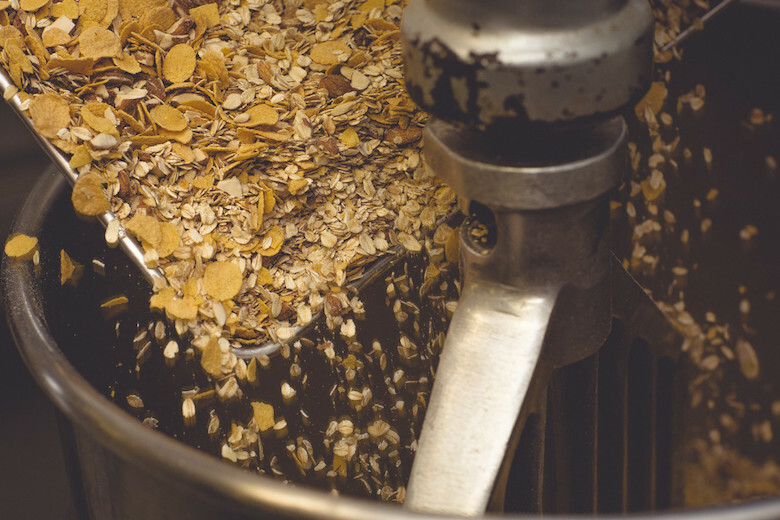 After selling the general store, the owners decided to focus on producing granola at the request of their dedicated customers and community who wanted their steady supply of favorites to continue. Now having just finished building an organic-certified and gluten-free kitchen, they are teaming up with some great small farms and artisan food producers to bring the best, freshest granola to your home table. Mixing up a batch of granola. Photo credit/Small Batch Granola. Casually Gourmet brings three Vermont specialty food brands together under one roof. Casually Gourmet started with vegetables, honey, and country jams at a roadside farm stand. 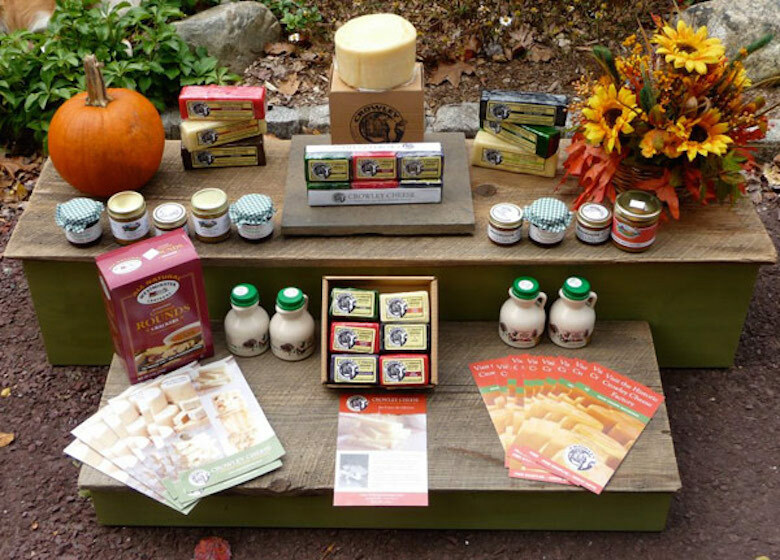 Today they offer a wide range of delicious made-in-Vermont gourmet food: from mustard and grilling sauces to jelly and pancake mixes. They use only the finest locally sourced ingredients, including fresh produce grown on their own farm, and they handcraft each small batch with patience and care. 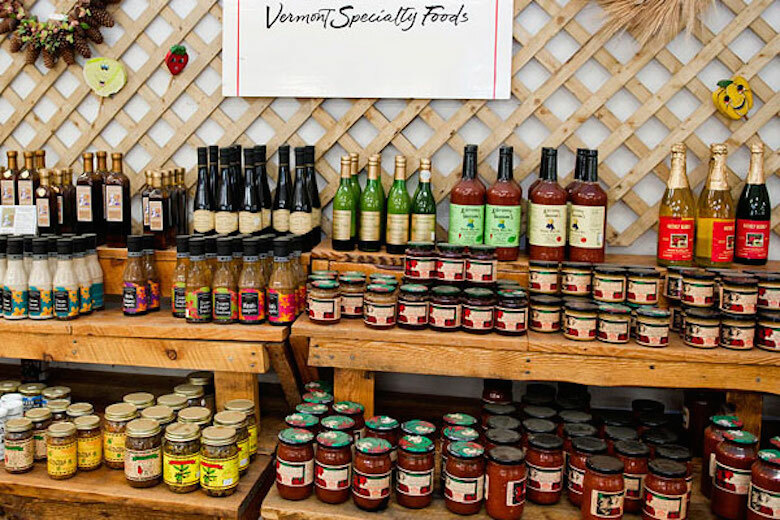 The unique tastes and flavors of Vermont come out in all their products, adding zest and character to your good cooking. Gourmet food made easy. Vermont is more than an address for this chocolate company. It’s home and where Lake Champlain chocolates are made. From the first truffle in 1983 to the present day, Vermont has inspired Lake Champlain Chocolates to take a craftsman’s approach to chocolate: creativity, patience, and mastery. They make chocolates with fresh ingredients and a focus on local. True to Vermont’s D.I.Y. spirit, they’re now crafting their own bean-to-bar chocolate from scratch, and keeping their own bees at Burlington’s Intervale Center, with the goal of producing honey to use in their chocolates. Todd Pinkham and Andrew Meyer, co-owners of Vermont Soy in Hardwick, VT, began selling fresh organic soymilk in 2007. Vermont Soy’s product line has since diversified to include artisan tofu, soy oil and toasted soy nuts. The goal of Vermont Soy is to source all of their organic and non-GMO soybeans directly from Vermont farmers. This helps to diversify farming revenues, it keeps Vermont’s agricultural lands active and healthy, and it supports sustainable agriculture and local economies. Crowley’s cheesemaking history began in the Crowley family kitchen in Healdville, Vermont, in 1824, but it was not until 1882, when Winfield Crowley built the present-day factory, that the name Crowley Cheese started to reach the shores of Maine and the streets of Manhattan. Crowley Cheese has grown to include over 12 raw-milk varieties of cheeses. Crowley Cheese is made with fresh milk from Vermont’s own Carabeau Farm. Crowley Cheese is made the same way today as it was made over 175 years ago when the company was founded: slowly, carefully, and entirely by hand. Stop by their factory for a tour and to pick up some picnic items, then take a hike or kayak on the factory’s property. Crowley Cheese products at Gossetts’ Farmers Market. Photo credit/Crowley Cheese. Plymouth Artisan Cheese is a Vermont company that produces artisanal raw cow’s milk cheeses with milk received from a single local herd that is continually monitored for quality. All of the milk comes from a farm that engages in the best dairy practices and humane treatment of their livestock. Only the finest and freshest milk goes into Plymouth Artisan Cheeses. They are also dedicated to the ideas and philosophies of the slow food movement. Plymouth Artisan Cheese’s line of granular curd cheeses are true American heritage cheeses made to the same exacting recipe that the first European settlers brought with them to the New World. Granular curd cheese is very rare and time intensive, and Plymouth Artisan Cheese may be the only cheesemaker that still produces this distinctive American heritage cheese and makes it available to the public. Tonewood is redefining a standard for elegance and quality in maple products. Through collaboration with expert sugarmakers, they produce pure maple syrups and other specialties. Their products are single-sourced, unblended, and free of additives. They combine this standard for excellence with sleek design and forward-thinking sustainability practices to produce gourmet products. By funding climate research, local farming efforts, and sustainable forest stewardship, they seek to preserve small-scale maple production. They’re committed to celebrating maple’s naturally sumptuous flavor and under-realized versatility. Their location in Mad River Valley, VT combines rich soil, southern facing slopes, and high elevation with ideal maple climate, allowing them to produce sap of unparalleled quality. 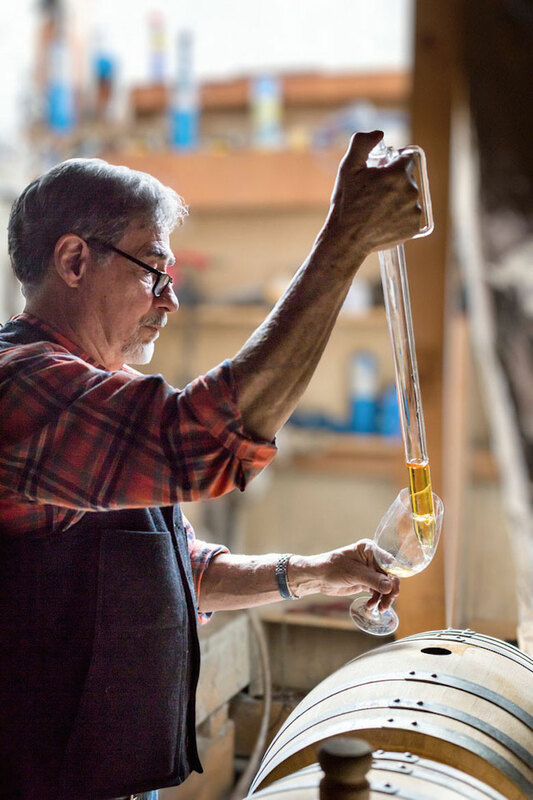 Their artisan sugarmakers use refined harvesting and crafting techniques to transform this sap into pure maple syrup with exquisite clarity, color, density, and flavor. Myers Produce is a new regional distributor based in Hardwick, Vermont. They buy fruit and vegetables from small, primarily organic farms in Vermont and Massachusetts and sell to wholesale customers in New York City and Boston. None of the products travel more than 350 miles from grower to customer. Much of their produce is grown at Pete’s Greens, a four-season organic vegetable farm in Craftsbury, Vermont. The crew at Pete’s Greens grows hundreds of varieties of vegetables through the spring, summer, fall, and winter, extending the short Vermont growing season with moveable greenhouses, layers of row cover, and crops that grow well in a cold climate. They produce fresh greens, spinach, and shoots throughout the winter, and harvest enough potatoes, carrots, beets, turnips, celeriac, cabbage, fennel, leeks, and onions to store and sell throughout the year. Burke Mountain Confectionery is housed in Burke, a quintessential, nostalgic town in Vermont. From its quiet pastoral scenery to its authentic outdoor life experiences, outstanding snow skiing and riding, and notorious mountain biking, Burke lends itself to active tranquility that inspires the best in us. Their chocolates are handcrafted with utmost care, incorporating the pure and simple flavors of Vermont’s Northeast Kingdom with the smoothest pure chocolates to create extraordinary confections. 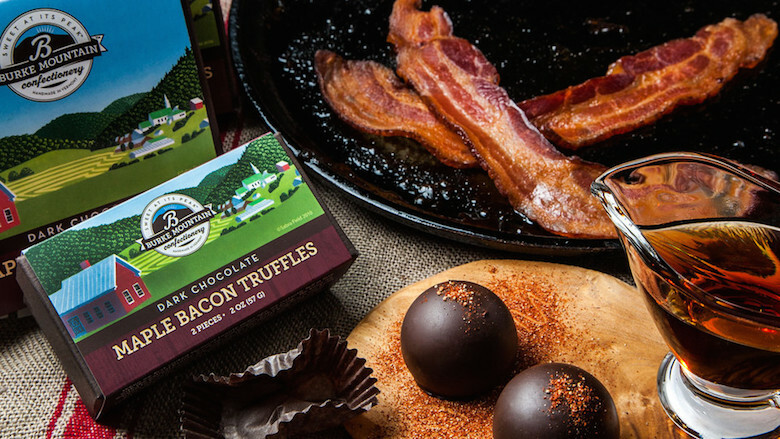 From their delightful Eden Ice Cider™ Truffles to their scrumptious Peppermint Bark and silky Sweet Maple Truffles, they have found a joy in taking nostalgic family recipes and pairing them with creative flavors unique to Vermont. Order chocolates for the holidays, weddings, other special occasions, or just because it’s Tuesday. Maple Bacon Truffles from Burke Mountain Confectionary. Photo credit/Burke Mountain Confectionary. Eden Ice Cider began on a trip to Montreal in 2006 when the owners first tasted ice cider and wondered why nobody was making it in the United States. In April 2007, they bought an abandoned dairy farm in West Charleston, Vermont and got to work. Since then they have planted over 1,000 apple trees with which they make their delicious ice cider. Eden Ice Cider’s goals are to create healthy soils and trees in their own orchard, to support their Vermont apple orchard partners who do the same, to minimize their carbon footprint, to contribute to the economic and environmental health of their employees and the Northeast Kingdom community, and most of all to make world-class unique ciders that truly reflect the Vermont terroir. Crafted in Vermont using authentic ingredients, this one-of-a-kind beverage combines the natural sweetness of maple syrup with the tanginess of organic apple cider vinegar—along with added hints of lemon, ginger and molasses. Switchel was traditionally used by Vermont farmers to slake their thirst and provide natural energy while haying. As a modern day alternative to conventional sports drinks, switchel provides hydration therapy and restores depleted minerals in the body. It has a crisp, clean flavor with a long, smooth finish. Like most dairy farmers at the time, the ancestors of the owners of Vermont Switchel would mix up a jug of switchel in the morning and put it in a nearby brook while they were haying. This beverage would keep them satiated until they made it back to the farmhouse in the evening. Switchel is delicious, good for you, and an icon of Vermont’s agrarian heritage. At Dunc’s Mill, they know that true craft spirits take time, care and effort–you get out what you put in. That’s why we try to do everything the right way.They have one goal: to create from scratch the highest quality spirits that can be produced. They do every step of the process by hand-fermenting organic evaporated cane juice, distilling and refining to pure unfiltered alcohol, infusing their handmade Vermont flavors and putting it in the bottle, all in house. The rums they produce: maple, elderflower and reserve are truly unique to Vermont. It takes a little longer, but they wouldn’t want it any other way. Because when they finally sit back at the end of the day, they can pour themselves a glass of the genuine article–and there’s no higher pedigree than hard work and true craftsmanship. Duncan Holaday sampling his rum at Dunc’s Mill. Photo credit/Dunc’s Mill. The story of Champlain Orchards began in 1998, when twenty-seven-year-old Bill Suhr purchased 60 acres of orchard in Shoreham, Vermont. At the time, his motivation and initiative to live off the land overshadowed the fact that apple growing and fruit farming were not in his realm of knowledge. Today, Champlain Orchards manages over 220 acres of fruit trees that includes over 70 varieties of apples as well as plums, peaches, nectarines, European and Asian Pears, raspberries, cherries, and blueberries. Needless to say, Bill is as ambitious as they come. His passion for working on the land and the fruit mixed with his forward thinking and goals of success and sustainability have created a thriving Vermont agricultural business that provides to communities all over the state. But he was and is far from alone in his efforts. The knowledgeable Shoreham orchard community, an equally motivated wife and business partner, Andrea Scott, and a hard working Champlain Orchards Crew all continually contribute to cultivating and shaping the Orchard into the business known and trusted today. Made in Vermont products. Photo credit/VermontVacation.com. Four generations ago Rockledge Farm operated as a mail order business, selling wood furniture among other items. Today Rockledge Farm Woodworks is still a small, family operated business. Their gorgeous furniture is inspired by the needs of their clients and by the wood itself in their one-of-a-kind furniture created from unusual and distinctive pieces of wood. They endeavor to use woods which we know have been harvested in a responsible, sustainable manner. Their furniture is constructed exclusively from native Vermont and northern New England hardwoods which are carefully hand selected from a number of small lumber mills around us. Most of their furniture and accessories are made wholly or in part using “Figured” Hardwoods such as Birdseye and Curly Maple, Black Walnut, Cherry, Flame Birch, as well as Burls of the many hardwoods in Vermont. 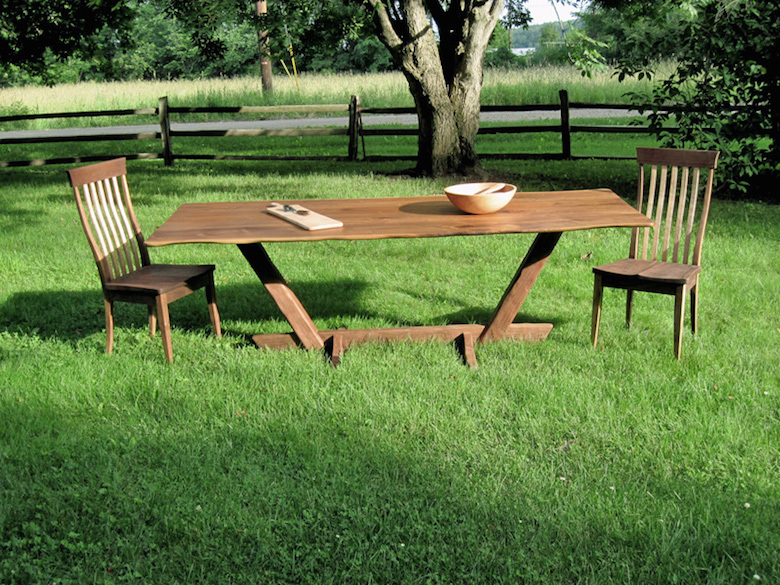 “Live Edge” Black Walnut Dining Table available at Rockledge Farm. Photo credit/Rockledge Farm. Shelburne Farms is a nonprofit organization educating for a sustainable future. Their home campus is a 1,400-acre working farm, forest, and National Historic Landmark. Not only do they serve as an educational farm, they also sell their delicious products: maple syrup, meat, books, cheese and pantry items. Visit to see the daily workings of this incredible sustainable farm and check some items off your holiday gift list. Started in 2010 by Louisa Conrad and Lucas Farrell, Big Picture Farm is a small hillside goat dairy and farmstead confectionery and creamery located in southern Vermont. Their award-winning goat milk caramels and farmstead cheeses are made with fresh, raw, creamy goat’s milk from their herd of 46 healthy and happy, free-ranging companions. An Animal Welfare Approved farm, the health and happiness of their animals is the center around which their farm and farm products revolve. Each caramel or cheese that we produce comes from a place, a specific place, and is made from the milk of a specific animal, eating specific flowers and leaves and plants at a specific time of year. Their goal is spelled out in their name: to provide their customers with the rich context surrounding their products (aka “the big picture”). They therefore invite you to meet and get to know all of our goats and to follow us through the seasons, especially this holiday season. Treat yourself or a friend to some of their delicious products! The Couture’s Maple Shop and Bed and Breakfast operate out of a farmhouse that dates back to 1892. The Bed and Breakfast offers comfortable, smoke-free, country accommodations with a family atmosphere. The newly renovated kitchen and patio are ideal for breakfast, which features the owner, Pauline’s, made-to-order cooking. Behind the house is the dairy barn with milking cows; just past the dairy bar is the sugarhouse where the maple syrup is made. During the springtime, visitors can watch the owners make delicious maple syrup. After a weekend getaway, pick up some maple syrup, candy and sugar as well as other delicious maple products to take home with you. Nestled on the southern slope of Mount Ascutney in Weathersfield, Vermont, Cas-Cad-Nac Farm (CCNF) is a full-time family enterprise; alpacas are their life and passion. They are proud to say that though they are the largest alpaca farm in New England, they still know all of our animals on sight and by name, though that is perhaps not so surprising when one considers that well over 90% of the current herd was born at their farm. Though they have staff members that work with them, and are a big part of the day-to-day operations at CCNF, it is not some casual part-time gig they do in their spare time. They welcome visitors to their farm year-round by appointment, whether it’s to look at their breeding stock or just to lay eyes on these gentle and intelligent creatures for the first time. Through their partnership in the Vermont Fiber Mill & Studio, located in the town of Brandon, they have created a ready outlet for the vast quantities of luxurious fiber that they shear off of their herd every spring. The end products from their yearly clips are Vermont-grown and Vermont-made alpaca yarn, rovings, batts, and felt, which are then sold through the Mill.